Dan is a highly versatile barrister who accommodates commercial, chancery and professional disciplinary work with a civil, regulatory and public law practice. He is also no stranger to the most high-profile criminal cases – Dan was Junior Counsel in the successful prosecution of England international and Premier League footballer Adam Johnson – and defending in the most complex commercial fraud trials. His experience in complex fraud cases is reflected by the fact that he is the only junior barrister on the Northern Circuit to have been appointed to the Serious Fraud Office Panels of Counsel. Dan has further acquired a niche in Road Transport Law, representing operators and individuals before the criminal courts and the Traffic Commissioner. Dan’s “particular expertise in cases involving allegations of tax fraud and international money laundering” is highlighted by Chambers & Partners, where he is described as “a quality barrister”. In 2015, Dan was appointed directly by the Attorney General to his specialist Civil Panel of Counsel (formerly known as Junior Treasury Counsel). As a consequence, Dan is instructed by government departments in civil litigation of significance and sensitivity. In the year he was appointed, the Attorney General described the competition to be Junior Counsel to the Crown as “fierce”. Dan has been instructed by the Secretary of State for Communities & Local Government in the High Court in planning litigation, by the Home Office in unlawful detention cases and by the Ministry of Justice in complex litigation. In 2012 Dan was appointed, again by the Attorney General, to the “Regulatory List” of Counsel – a specialist group of barristers entrusted with the presentation of Health & Safety Executive and Environment Agency cases. The cases Dan has undertaken for the HSE and the Environment Agency have involved the prosecution of companies in fatal accident cases or incidents concerning catastrophic pollution – many cases have involved multiple defendants and complex evidence. Most recently Dan has prosecuted, as sole counsel, companies and individuals for causing the deaths of employees crushed by heavy machinery and in falls from heights. Dan is regularly instructed as led Junior Counsel on complex cases and has recently begun to take instructions as Leading Counsel. Dan brings to his practice the commercial experience of working at Canada’s leading law firm, McCarthy Tetrault LLP in Toronto. 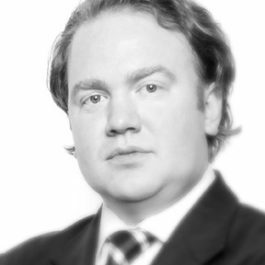 At McCarthys, Dan was part of teams of counsel litigating class actions, commercial disputes between FTSE 100 companies, professional negligence disputes, the representation of health care professionals in disciplinary proceedings and appeals to the Supreme Court of Canada. HSE v. Thorn Warehousing Ltd & Thelwall, Manchester Crown Court – Prosecution of fatal accident where employee was crushed by heavy machinery (instructed by Fieldings Porter). HSE v. Newhay Loft Conversions Ltd, Manchester Crown Court – Prosecution of company for death of worker after fall from height (instructed by Fieldings Porter). HSE v. Lodematic Ltd, Preston Crown Court – Prosecution of company for causing life-changing eye injuries due to pressure pump accident (instructed by Fieldings Porter). R. v. MI, Chester Crown Court & R v. Haslingden Hall, Trafford Magistrates’ Court – Defending in prosecution of Cheshire wedding venue for offences under the Fire Safety Regulations and Food Safety Regulations. Advising Borough Council on implications of company liquidators disclaiming environmental permit. Environment Agency v. MB, C Transport Ltd & 3 others, Manchester Crown Court – Prosecution of alleged illegal waste deposits on farming site under the Environmental Protection Act 1990. Environment Agency v. Kilroe, Davies & Williams, Manchester Crown Court – Prosecution under the Environmental Protection Act 1990 of three large separate waste transfer sites with common co-directors, involving pollution caused by catastrophic waste fires causing major disruption to Greater Manchester transport links. Environment Agency v. JL Sorting Ltd – Prosecution under the Environmental Protection Act 1990 of waste site involving pollution caused by catastrophic waste fire. Environment Agency v J25 Recycling Ltd & Asset & Land Limited – Prosecution under the Environmental Permitting Regulations 2010 of two large waste transfer sites for breach of permit. R v. AS Ltd & K, Preston Crown Court – Representing company and Director in counterfeit goods prosecution involving international importations and over £2m sales (leading Marianne Alton, instructed by Olliers). R v. SAS Fire & Security & 6 Others, Harrow Crown Court – Successful defence in the largest multi-agency trading standards prosecution ever brought in the United Kingdom. Dan represented a Financial Director who was acquitted of conspiracy to defraud and conspiracy to breach the Consumer Protection from Unfair Trading Regulations 2008 in the promotion and sale of home alarm systems (led by James Gregory, instructed by Stephensons). R v. Armer, Kershaw & 5 Others, Carlisle Crown Court – Defence of Director of waste disposal company for conspiracy to defraud and trading standards offences (led by Andrew Nuttall, instructed by Farleys). R. (on the application of numerous defendants) v. Cheltenham Magistrates’ Court, High Court of Justice, Queen’s Bench Division, Administrative Court (2016) – Group action in Judicial Review of the level of costs orders imposed against defendants in DVSA prosecutions [to be heard] (instructed by Weightmans). DVSA v Howard Snaith Partnership, Snaith & 12 Others (Operation Challenger), Newcastle Crown Court (2015) – Defending operator in prosecution brought by the Driver Vehicle & Standards Agency for alleged widespread conspiracy to commit falsification of drivers’ records and perverting the course of justice. Case was dismissed after 3-months of evidence after various strategic requests for disclosure by the Defendant Dan represented (led by Anthony Cross Q.C., instructed by Backhouse Jones and David Gray Solicitors). Dan has provided wide-ranging advice on all aspects of the work of the Traffic Commissioner and regularly appears in Public Inquiries. R. (on the application of AB) v. Chief Constable of Cheshire, High Court of Justice, Queen’s Bench Division, Administrative Court (2016) – Judicial Review claim by police officer against decision of Chair of Police Disciplinary Tribunal to prevent her from cross-examining witnesses in disciplinary proceedings involving allegation of dishonesty (instructed by Stephensons). Trustees of QAW (A Charity) v. X, Y & Z, High Court of Justice, Chancery Division (2016) – Acting for alleged former trustees of charity in dispute concerning the property held by the charity. Case successfully mediated to a settlement. X Property Company v. X Council, High Court of Justice, Queen’s Bench Division, Administrative Court (2016) – Appearing on behalf of local government department in complex appeal regarding whether or not certain rates of property tax are payable of an empty Listed Building of historic significance [to be heard]. R. (on the application of MG) v. Liverpool Magistrates’ Court, High Court of Justice, Queen’s Bench Division, Administrative Court (2016) – Judicial Review of District Judge’s decision to require a defendant’s spouse to pay towards the confiscation order imposed against the defendant [to be heard]. Lakeminster Park Limited & Others v. Secretary of State for Communities & Local Government & East Riding Yorkshire Council, High Court of Justice, Queens Bench Division, Planning Court (2015) – Representing Secretary of State in planning proceedings. V (UK) Ltd v. H, High Court of Justice, Queen’s Bench Division, Mercantile Court (2015) – Successfully acted for the defendant in variation of freezing order application in circumstances where the defendant was accused, in the substantive proceedings, of a defrauding the claimant company. R. (on the application of R) v. Crown Prosecution Service, High Court of Justice, Queen’s Bench Division, Administrative Court  EWHC 3654 – Successful defence of Judicial Review action against Magistrates’ decision to permit an amendment of a written criminal charge by Crown Prosecution Service. R. (on the application of P) v. Bolton Magistrates’ Court, High Court of Justice, Queen’s Bench Division, Administrative Court  EWHC 1812 – Judicial Review of decision of Magistrates’ to imprison defendant for default in payment of confiscation order. Advising holiday company in partnership dispute (High Court of Justice proceedings). Advising directors of commercial property company on the impact of the Proceeds of Crime Act 2002 confiscation proceedings vis-a-vis a former director with an interest in various properties jointly owned (High Court of Justice proceedings). Acting for partner of automobile sales company in claim for conversion of partnership property against former business partner (High Court proceedings). Acting for defendant in contract claim regarding high value vehicle hire-purchase agreements (County Court proceedings). Acting for director of large scale tool manufacturing company in negotiations regarding the sale of his shares to co-directors. Successfully acting for professional footballer in signing-on fee dispute with former club (County Court proceedings). Successfully acting for building company in dispute with former clients in relation to non-payment of construction costs (County Court proceedings). Acting for World Champion boxer in successfully negotiating his release from a promotion contract with former World Champion promoter. Client successfully moved to Matchroom. Successfully acting for firm of chartered accountants at trial in proceedings to recover non-payment of fees from former client (County Court proceedings). drinks company (High Court proceedings). Advising owners of prominent website business regarding Notice and Takedown procedures. Advising Manchester based automobile company regarding Passing Off of their website by rival company (case ultimately settled after issuing proceedings before the Intellectual Property Small Claims Court). Advising in private prosecution of a former Director of a company for offences committed by disclosing confidential information under the Computer Misuse Act 1990. Successfully acted for major UK gift company accused of offences of infringement under Trade Marks Act 1994 – Trading Standards department dropped all charges after written submissions made prior to arraignment. Acting for major UK toy company currently accused of offences under Trade Marks Act 1994. The company are accused of selling over £2million in counterfeit goods – due for trial in early 2017. Advising design company as to settlement of infringement proceedings brought against it by internationally-renowned graffiti artist. Advising owner of franchise of General Practitioner surgeries regarding special relief on self-assessment tax liability. a leading firm of accountants over Value Added Tax refunds. Acting for individuals VAT Tribunal cases. Assisted in the preliminary stages of the defence of the former CEO of Nortel in what became a lengthy fraud prosecution (ultimately reported as R. v. Dunn, 2013 ONSC 137) with Thomas Heintzman Q.C..
involving copyright and electronic publishing issues (with Thomas Heintzman Q.C.). (reported as Asgari v. Jain, 2006 CanLII 20530 (ON SC). Canada Company, (2007), 87 O.R. (3d) 352 (with Thomas Heintzman Q.C.). R. v. Stucky, 2009 ONCA 151). Operation Tarlac, Leicester Crown Court – Defending Dubai-based businessman in multi-million pound diversion fraud prosecution brought by HMRC listed for 3 months. Multi-defendant trial involving alleged defrauding of Royal College of Art, St Paul’s School and various National Health Service institutions across the UK (led by Tim Storrie, instructed by Sakhi Solicitors). DVSA v Howard Snaith Partnership, Snaith & 12 Others (Operation Challenger), Newcastle Crown Court – Defending operator in prosecution brought by the Driver Vehicle & Standards Agency for alleged widespread conspiracy to commit falsification of drivers’ records and perverting the course of justice. Case was dismissed after 3 months of evidence after various strategic requests for disclosure by the Defendant Dan represented (led by Anthony Cross Q.C., instructed by Backhouse Jones and David Gray Solicitors). Operation Cactus Hent, Birmingham Crown Court – HMRC prosecution of complex 9-handed pension fraud involving nine defendants – 4 month trial (led by Richard Sutton Q.C., instructed by CPS Central Fraud Group ). Operation Epping, Bolton Crown Court – Successful prosecution of millionaire eBay trader for cheating the public revenue (instructed by CPS Central Fraud Group). Operation Patton, Newcastle Crown Court – Defending company director accused of multi-million pound construction investment scheme fraud (led by Jeremy Lakser, instructed by Forbes). Operation Ply/Operation Destiny, Birmingham Crown Court – Defending prominent Birmingham solicitor accused of multi-million pound fraud of HSBC bank – 3 month trial (led by Ged Doran, instructed by Linskills). Operation Kinyeti, Manchester Crown Court – Successful defence of prominent Lancashire businessman accused of fraudulently selling passports (led by Andrew Nuttall, instructed by Slater Gordon). Regina v. Heywood, Chester Crown Court – Acting for prominent Manchester commercial property solicitor accused of money laundering and perverting the course of justice (led by Jonathan Barnard of Cloth Fair Chambers, instructed by Brunskills). Operation Bespoke 1 & 2, Preston Crown Court – Successful prosecution of major North of England money laundering conspiracy involving notorious organised criminal gang ‘The Rylands Crew’ (led by Andrew Nuttall, instructed by CPS Complex Case Unit – Preston). Regina v. De Rothschild, Bristol Crown Court – Defending in ‘phoney billionaire’ trial in which defendant was accused of defrauding vulnerable divorcees in the South of England (led by Charlotte Holland, instructed by Carter Moore). Operation Merit, Bradford Crown Court – Successful prosecution of England international and Premier League footballer Adam Johnson for offences of Sexual Activity with a Child (led by Kate Blackwell Q.C., CPS Complex Case Unit – Newcastle). Operation Afterburn, Portsmouth Crown Court – Sole counsel for defendant accused of conspiracy to supply Class A drugs in 10-handed case (Olliers). Operation Hombre 1 & 2, Preston Crown Court – Successful prosecution of 10 defendants for conspiracy to supply Class A drugs in an operation which spanned the Midlands and the North of England (Led Junior Counsel, CPS Complex Case Unit – Preston). Operation Pepper, Manchester Crown Court – Successful defence of son accused of stabbing his father to death. Acquitted of murder, found guilty of manslaughter on the basis of loss of control (Led by Paul Reid Q.C., RH Law). Armer, Carlisle Crown Court – Successful prosecution of the ‘Kendal fire murderer’ – a case which became the subject matter of a television documentary (Led by Tim Storrie, CPS Complex Case Unit). Pumbien & 2 Others, Preston Crown Court – Defence of co-director of a care home for offences of wounding, perverting the course of justice and offences committed against vulnerable elderly patients under the Mental Capacity Act 2005. On a 19 count indictment, the Defendant was acquitted by the judge after legal submissions of three counts, unanimous not guilty verdicts were secured on nine counts whilst the jury were unable to reach verdicts on the five remaining counts after a 6-week trial (led by Alistair Webster Q.C., Forbes). Operation Bizarre, Manchester Crown Court – Successful defence of businessman accused of participating in a conspiracy to supply Class B drugs after the UK’s largest ever inland seizure of cannabis took place on his business premises. A successful application for costs was made at the conclusion of the 2-month trial (led by James Gregory, Middleweeks). Operation Mystique, Sheffield Crown Court – Multi-handed conspiracy to supply Class A drugs involving evidence from undercover officers (instructed by Carter Moore). R. v. B, Liverpool Crown Court – Nominal order secured for businesswoman found guilty of dishonesty offences after written legal arguments submitted on the status of alleged ‘tainted gifts’ to an individual who obtained the gifts by means of false statements. R. v. Ellis, Carlisle Crown Court – Nominal order secured for commercial solicitor found guilty of theft offences after written submissions made on corporate veil matters. R v. Stocks, Sheffield Crown Court – Nominal order secured for client serving 22 years for drugs offences. Crown withdrew hidden assets arguments and reduced benefit figure significantly after written submissions made. Hillingdon Trading Standards v. SAS Fire & Security & 6 Others, Norwich Crown Court – Multi-million pound POCA proceedings alleging huge benefit figure and hidden assets. Crown settled case for circa £300,000 equal benefit and available amount (led by Tim Storrie, Stephensons). Operation Delaware, Teesside Crown Court – Defending in multi-handed POCA proceedings (led by Tim Forte, instructed by Carter Moore). Chief Constable of Lancashire v. IS & SS – Defending in complex appeal against forfeiture of cash in the Crown Court (led by Elizabeth Nicholls, instructed by JMW). Operation Dessert, Chester Crown Court – Defending prominent Cheshire businessman in lengthy conspiracy to defraud VHCC POCA proceedings (led by James Gregory, DLA Piper). R. v. WR, High Court of Justice – Certificate of inadequacy application before Mr. Justice Goldring under DTA 1994. R. v. Quillan & 5 Others, Court of Appeal,  EWCA Crim 538 – Appeal by Prosecution against ‘terminating ruling’ decision of Crown Court Judge in dismissing all charges against defendants accused of conspiracy to cheat the public revenue via pension schemes. This case is now the leading authority on the procedural aspects of terminating rulings in the Crown Court. R. v. Stocks & 5 Others, Court of Appeal,  EWCA Crim 1124 (Court of Appeal was led by The President of the Queen’s Bench Division, Lord Justice Leveson) – Successful appeal against sentence on behalf of a defendant convicted of conspiracy to supply Class A drugs. Sentence reduced from 24 years to 22 years. R. v. Bower & Pickering, Court of Appeal,  EWCA Crim 2334 – Successful appeal against sentence on behalf of defendant convicted of fraudulent evading duty on over £3million tobacco products. R. v. Laing & Loughman, Court of Appeal,  EWCA Crim 1836 – Appeal against sentence on behalf of defendant convicted of serious gangland revenge attack offence. R. v. Callaghan, Court of Appeal,  EWCA Crim 40 – Represented the Prosecution in appeal against sentence for indecent assaults against child. The appeal was unusual in that it was brought 10 years after the defendant’s sentence was originally imposed. R. v. Rogers, Court of Appeal,  EWCA Crim 2388 – Successful appeal against sentence on behalf of defendant convicted of fraud. "He has the gravitas of a much more senior barrister."